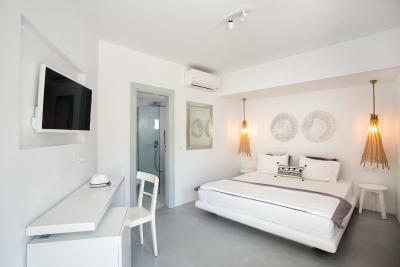 Lock in a great price for Blue Sand Boutique Hotel & Suites – rated 9.5 by recent guests! Staff super freindly. Great location, they were very helpful with everything. Great staff. Great breakfasts, includibg wide assortment of breads and pastries, fresh fruit & fresh brewed Greek coffee. 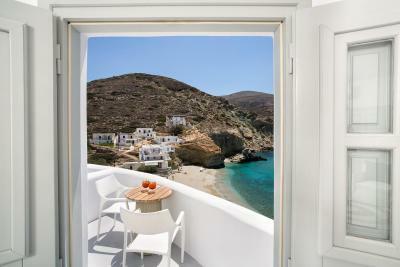 The location and view right over the best beach in Folegandros made this the perfect spot for a relaxing island vacation. The staff are some of the nicest most accommodating service people we have ever dealt with. Nothing was ever a bother to them. Thank you Andrea and team!! 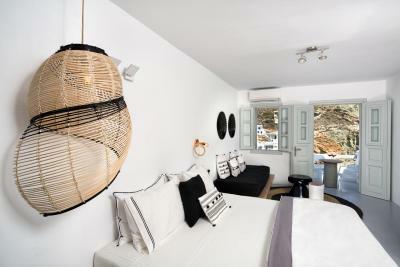 The perfect stay in Folegandros. 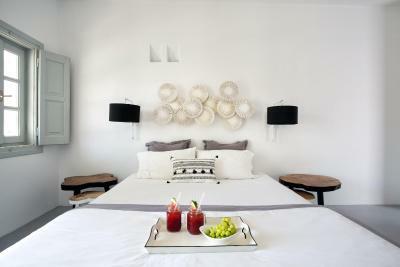 This boutique hotel is set in the best place of the island for accessing to the beaches. Wonderful view, good food, nice rooms (well equipped), friendly staff......everything is perfect in this corner of Paradise. A special thank you to the manager for his kindness. 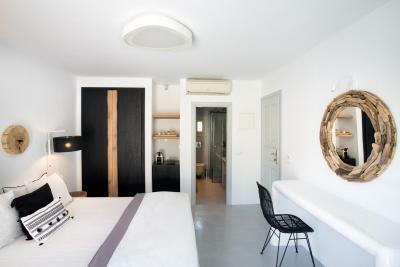 Very nice boutique hotel, impeccable style & design. Also reception staff was great and very helpful with all our requests! Thanks! The staff is just incredibly nice and precitionous ! 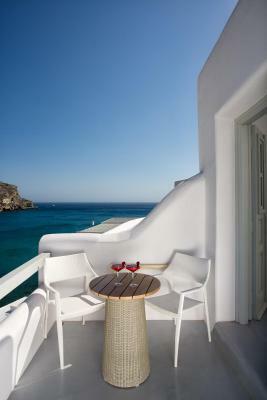 Great location next to some stunning beaches- really so relaxing after busy santorini. The rooms were small but lovely - make sure you get a sea view room though. Breakfast was yummy- we took it in our room to avoid the bees of the dining area. We wil be back for sure! Blue Sand Boutique Hotel & Suites This rating is a reflection of how the property compares to the industry standard when it comes to price, facilities and services available. It's based on a self-evaluation by the property. Use this rating to help choose your stay! 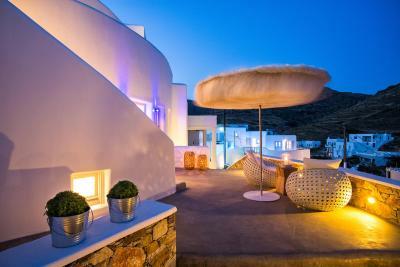 Built on a rocky hillside, Blue Sand Hotel in Folegandros is just 50 feet from Agali Beach. 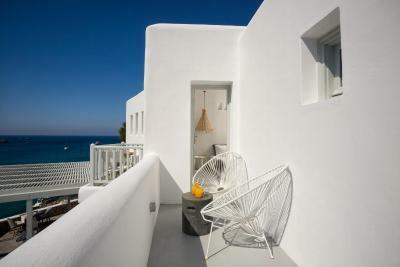 Featuring the traditional Cycladic architecture, it offers units with Aegean Sea view and free Wi-Fi throughout. Opening to private balconies, all bright rooms offer air conditioning, a flat-screen TV with satellite channels and mini bar. 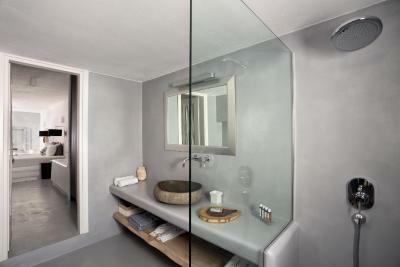 They also include a bathroom with a walk-in shower, hairdryer and free toiletries. Guests can start their day with an a la carte breakfast. Restaurants can be found in short walking distance. Blue Sand Hotel is just 150 feet from a bus stop. The town of Folegandros is approximately 2.5 mi away while the port of Karavostasis lies within 4.3 mi. 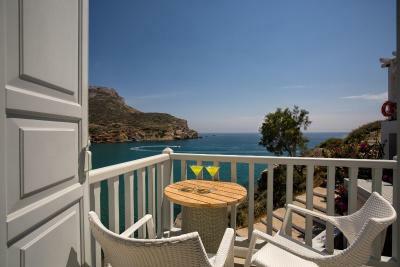 This property also has one of the top-rated locations in Agali! Guests are happier about it compared to other properties in the area. 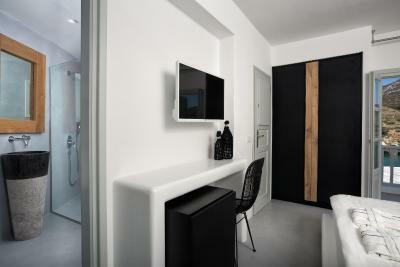 When would you like to stay at Blue Sand Boutique Hotel & Suites? Opening to a balcony or terrace with panoramic Aegean Sea view, this room features a king size bed, dressing table and spacious bathroom with a walk-in shower. 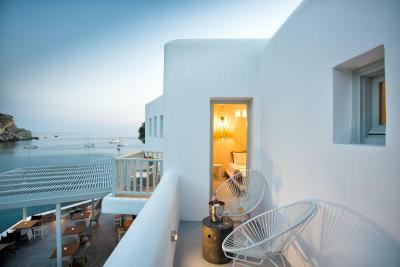 Featuring a balcony or terrace with panoramic Aegean Sea view, this suite offers a seating area, king size bed and sofa bed. This double room has a balcony, private entrance and air conditioning. This suite has air conditioning, mini-bar and sofa. Please kindly note the room capacity is only for maximum 2 Adults with 2 Children (12 age and under) OR 3 Adults with 1 Child (12 age and under) OR 3 Adults. This suite has a balcony, satellite TV and mini-bar. 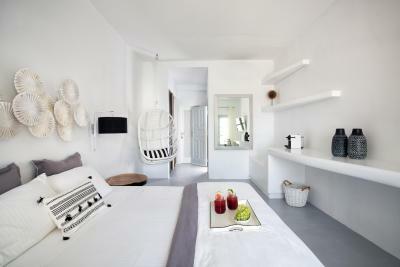 House Rules Blue Sand Boutique Hotel & Suites takes special requests – add in the next step! Blue Sand Boutique Hotel &amp; Suites accepts these cards and reserves the right to temporarily hold an amount prior to arrival. Blue Sand Boutique Hotel & Suites accepts these cards and reserves the right to temporarily hold an amount prior to arrival. Was pretty much perfect. The only small downgrade from a perfect 10/10 is that the Wi-Fi wasn't very reliable for higher bandwidth use, but fine for email and messaging apps. Happy to accept that all things considered. Extra pay for individual transfers (port transfer included) and beach cushions! We liked everything and had a great time. The view was fantastic.Hotel has an excellent design and atmosphere. Personnel very friendly and helpful. The morning coffee (not the filter coffee provided) came under charge. 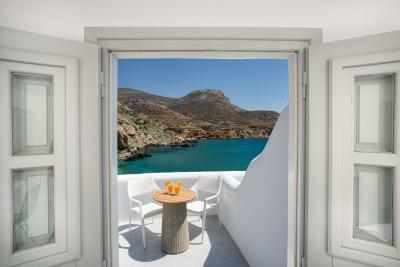 This must be the prettiest beach, hotel and room in Greece! Also excellent wine choice and cover page-decor.